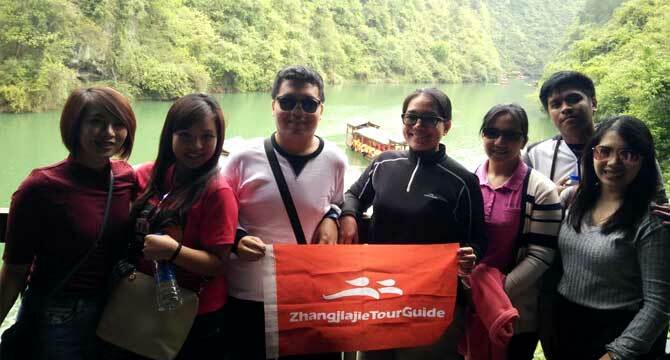 Upon arrival at Zhangjiajie Hehua International Airport, our tour guide will hold a sign of our logo “Zhangjiajie Tour Guide + your name” to meet you at the arrival hall of the airport . Drive about 40 minutes to your hotel in Wulingyuan district. Free at leisure for the rest of the day. 09:30 am, head to explore the picturesque Yangjiajie Scenic Area. Then ascend the Yuanjiajie Scenic Area by the world famous Bailong Elevator - a glass elevator built into the side of the mountain. On the summit, you will take about 1.5 hours hiking to discover the Pillar of the Southern Sky. It was used to inspiration for the famous "Hallelujah Mountains" seen in the Blockbuster movie, Avatar. Move to the Platform of Forgetfulness to enjoy the nearby peak views and then walk across the No. 1 Bridge under Heaven. Afternoon, climb up the Tianzi Mountain to visit Helong Park, the West Sea Scenic Area and so on. Later, take a cable car down the mountain to enjoy a walk along the dreamlike fairyland – Ten-mile Natural Gallery (mini train is optional). After breakfast, drive to explore the attractive Zhangjiajie Grand Canyon, which is known as the landform museum of Zhangjiajie. One of the highlights in your canyon exploration is a challenging walk on the most terrifying glass bridge in the world - Zhangjiajie Grand Canyon Glass Bridge. Afternoon move on to Baofeng Lake to enjoy a wonderful cruise and the local ethnic songs. Today, you are picked up to Tianmen Mountain National Forest Park, where you will experience a ride on the world's longest cable car up to the summit of the Tianmen Mountain, taking in the spectacular scenery as you do so. Upon at the summit, taking a hike (approximately 2 hours) on the plank road alongside the Guigu Cliffs. During the hiking, you can choose to experience the glass skywalk built along a cliff. After hiking, proceed to visit the Tiammen Temple and take the Forest Sightseeing cable car back to the Tianmen Mountain cable car station to take the big cable car up to the middle station. Later, take a bus along the Heaven-linking Avenue (a famous mountain-winding highway in the world) to explore the Tianmen Cave. Afternoon, transfer to Zhangjiajie Tujia Folk Custom Park to experience the local ethnic culture and buildings. Conclude the trip with a transfer to the airport.